The Ferrari 365 GT4 BB was introduced in 1971 at the Turin Salon; a major move forward from the outgoing Daytona, most notably due to the mid-mounted flat-12 engine. 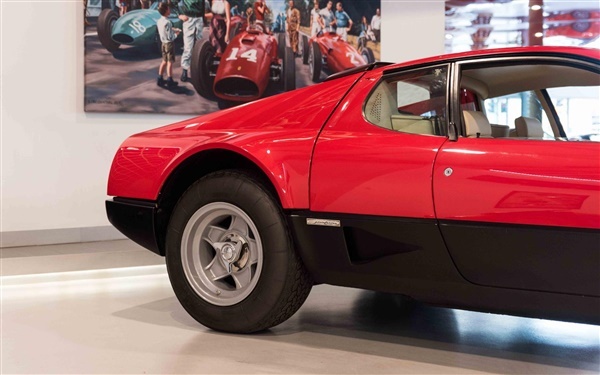 This change in engine location was Ferrari's attempt to move away from a GT car and more into a supercar; a direct rival for the Lamborghini Miura and subsequently Countach. There were only 400 365 GT4 BBs produced from 1973-1976 before Ferrari moved on to the 512 BB, the updated successor. 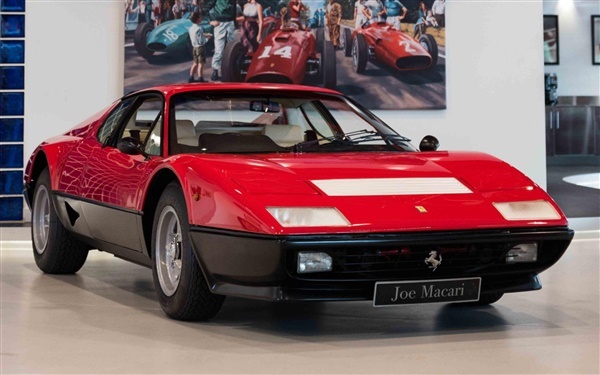 Not only was the 512 an improvement in terms of usability, but also raw performance, mainly due to the larger 4.9-litre engine with dry-sump lubrication. Further improvements included a higher compression ratio, wider track and tyres to accommodate the 360bhp, capable of reaching 60mph in the mid 5 seconds. 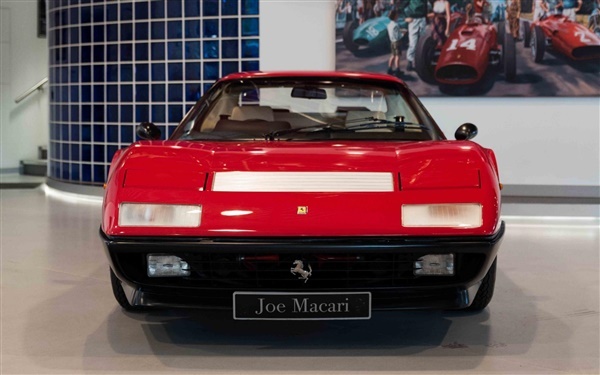 Stylistically, the 512 BB remains similar to its beautiful predecessor; twin rear lights and tailpipes being the most notable change, but even moving into the 80s, the Boxer was still one of the most stunning cars available. Less than 1,000 512 BBs were produced in total.The lovely example we are offering was UK supplied via Maranello Concessionaires in 1978 in the same Rosso Chiaro Exterior over Crema Leather Interior it sits in today. The car has an extensive history and service file and has also recently been awarded with Classiche Certification from the Ferrari Factory!